3 Agent or no agent? The MLS is a large part of the real estate industry, how it functions, and how effective a listing can be. If you are looking to sell your home, you are going to have to list on the Online MLS in some capacity, whether you are with an agent or not, but not all access to the MLS is created equal, especially when it comes to your bottom line. Below are ways to save while listing online and selling your house. If you are looking to save money while selling your home, you may notice that you will have to pay something to be listed on the Online MLS and that may deter you from even bothering, but you’ll have to take a step back and reassess if you’d like to successfully list and sell your home. The MLS gives your listing access to the eyeballs of the people who are going to push your deal forward – that is, all the potential buyers’ realtors in your area. If you aren’t on the MLS, it will be difficult for legitimate buyers and their realtors to find you. Buyers pay for access to the MLS online through their realtors and will be looking through listings on their own and discussing with their realtor what they find and what they are interested in. Again, if you are not actually listed on the MLS, you will be missing out on an opportunity that is critical for the sale of your home. First things first, when you’re selling your home and listing on the MLS you need to have some solid photos. This gets overlooked often and yet drastically influences how effective your listing on the MLS is. If you are going to make an investment of your time and money into preparing your listing and listing on the online MLS, take the extra step to make sure your photos are of good quality. It goes a long way. Just like you are going to have to pay some amount of money to be listed on the MLS, you are looking some level of investment either in time, money, or both so you can have quality photos of your property. There are a number of ways to obtain quality photos for your MLS listing without breaking the bank. Your phone is always a great place to start. Take photos in natural light about 30 minutes before sunset and you’ll be surprised what a huge difference this will make in the quality of your photos, especially relative to a lot of what is normally used on the MLS. You’ll typically be expected to pay 6% of the final listing price of your home to an agent, specifically to cover your listing on the MLS. That’s a solid amount of money! This is standard for the real estate industry, but there are still a lot of other more cost-effective options available to you. A lot of free listing websites like Craigslist, for instance, can certainly get the word out, but a lot of times these sites simply reflect what is already on the MLS. If you do any listing on your own, make sure you are listing in the appropriate location. Location is everything when it comes to potential buyers finding your home in a timely manner, and if you are listing a property in Jacksonville, for instance, just make sure you have chosen Jacksonville as the appropriate area to post your listing. If you decide to list without an agent but want access to the MLS so you can reference all current houses for sale by owner, beycome is a good resource to look into. You will be able to list on the MLS for a small flat-fee and bypass the standard 6% commission, and as far as saving money goes with MLS listing, it’s all about bypassing that commission as much as possible. A lot of times, selling your home without an agent – as long as you can get access to the MLS – saves you more money than simply hiring an agent and shelling out the 6% standard commission. The Online MLS is the standard for realtors referencing what is available based on location (again, location is huge when it comes to listings) and if your home isn’t listed on it, you’ll surely be behind on the game and the value of your home will only decrease as it sits on the market unnoticed. That’s the last thing you want as far as saving money while your home is up for sale. Listing on the MLS and “FSBO” or for sale by owner, pronounced “fizz-bo”, go hand-in-hand. This was not always the case, as access to the MLS used to be exclusively through a realtor or agent. Now, choosing to sell your home through the FSBO route is easier and more cost-effective than ever before, mostly because of how the MLS is now pretty much exclusively online and for sale by owner sellers have many resources at their disposal – real estate is not just about putting a For Sale sign up on your lawn (while that helps), but FSBO nowadays involves a faster paced, more owner-oriented landscape. The online MLS directly affects a for sale by owner seller’s leverage, for the better, because it facilitates a quicker sale, and the faster your house moves off the market after it is on the market, the more leverage you have during negotiations. Just moving the MLS online, before there were any flat-fee MLS listing services, was enough to change the average timeline of a home sale and drastically affect negotiation power for sellers. The online MLS is a powerful, critical tool available to “for sale by owner”(FSBO) home sellers today. 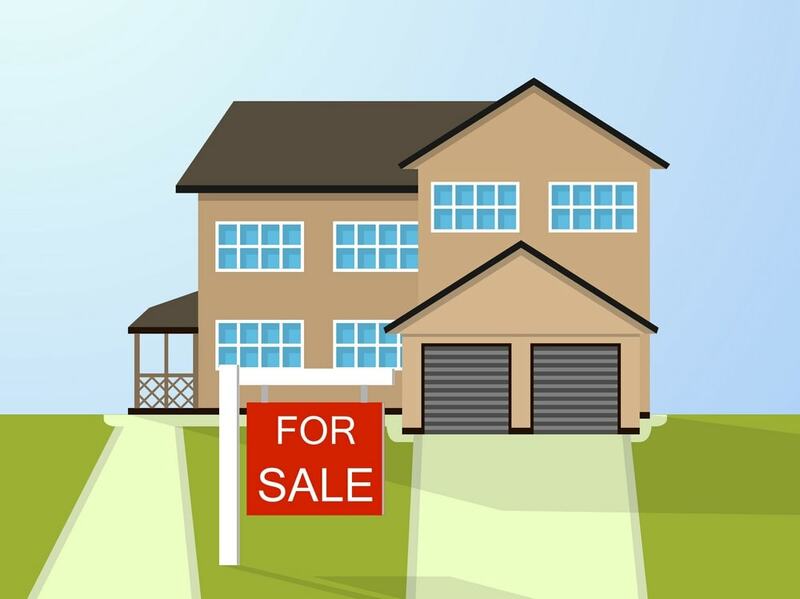 If you are looking to sell your home, make sure you list on the MLS in any way that is the most cost-effective by checking out what is available online that both lists you on the MLS for a significantly lower charge than a usual closing cost commission fee and also provides assistance to you on what is required for a successful listing. To save money when you sell your home, it’s important to get access to the online MLS, start looking at listings in your area for a reference, and make sure you pay attention to the details because you don’t want your home on the online MLS for long – and if you do a little research and preparation, it won’t be.